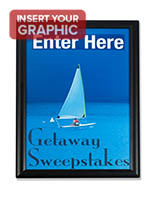 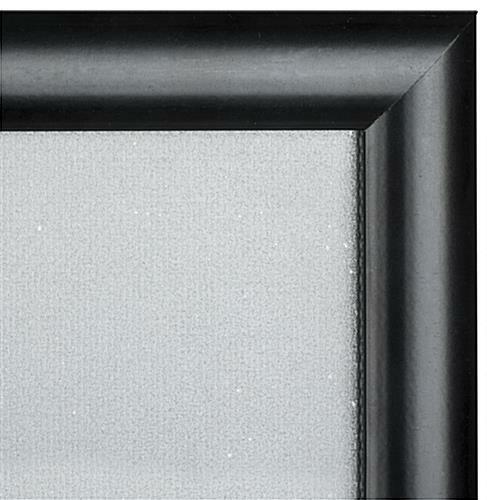 This snap open black aluminum poster frame is a lightweight, economical and durable alternative to standard framing. 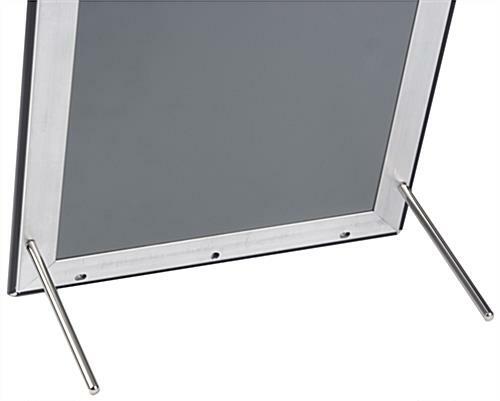 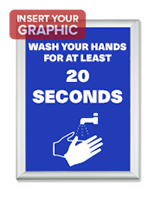 Each 11" x 17" sign or picture holder features a quick clip front loading design that allows contents to be easily changed without un-mounting the frame. 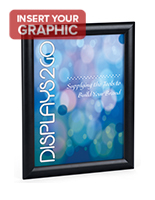 The versatile black aluminum poster frame comes with all necessary hardware for use on counter or tabletops and for wall mounting. 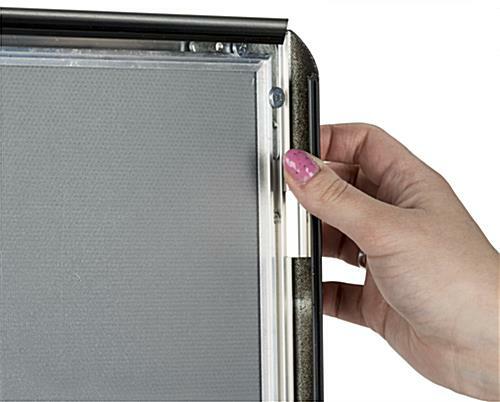 A clear acrylic lens clips in to protect graphics, pictures or signage from dust, damage or tampering. 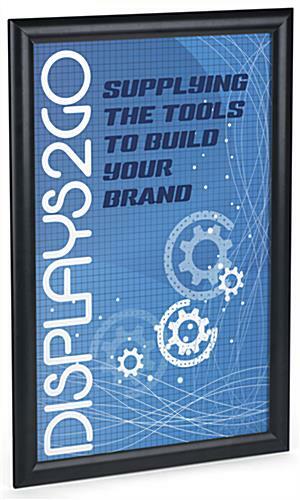 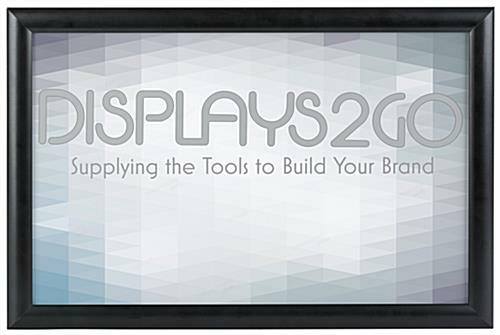 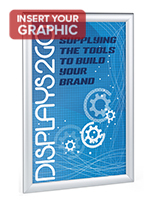 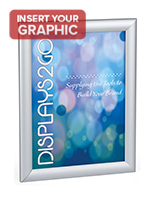 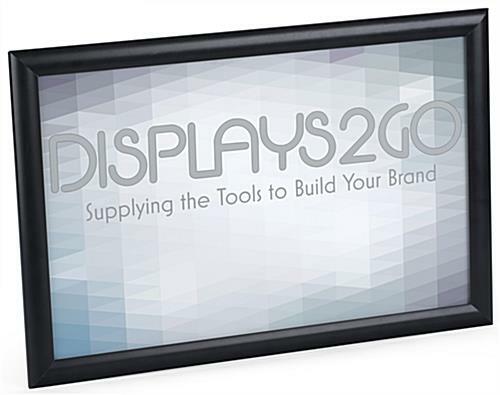 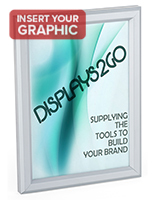 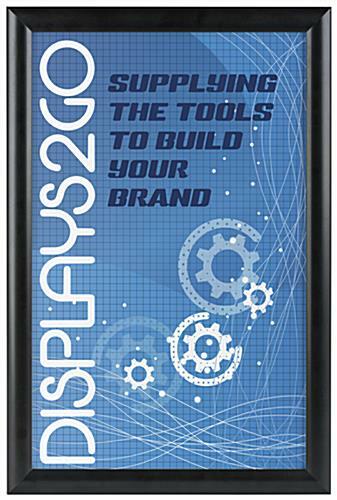 Each commercial-grade aluminum poster frame has a neutral finish to complement any decor or contents. 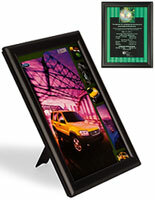 The quick-clip fixture can be used in either portrait or landscape orientation.